Are your infield soils troubled with being too dusty when dry, too greasy when wet, or too soft and sandy? There’s a solution for that. It’s finally here! Beacon Athletics now has DuraEdge™ and FieldSaver™ Engineered Infield Soils for your ballfield! Most infield soils are mined from the ground and screened off to a certain size and sold. It is what it is. 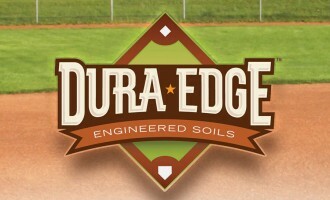 But for DuraEdge™ infield soils, screening is just the beginning. After harvesting the raw materials for our infield soil products, they are tested to determine soil makeup. The clay and sand materials are then mechanically blended by computer controlled equipment to deliver a precisely blended infield soil that must meet very tight specifications. The result is a consistently blended engineered infield soil that will meet very specific specifications year after year. DuraEdge™ infield soils are perfect for new infield construction or for bringing existing balanced infield soils up to grade. DuraEdge™ is the infield soil of choice of the majority of major league baseball teams as well as many Minor League, college and park & rec facilities around the country. Despite what other companies may say, it IS possible to improve your current underperforming infield material without removing and replacing it. FieldSaver™ is used for infield soil renovations. 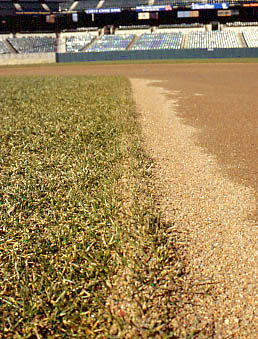 It is designed to combine with customer’s existing infield skin material to correct soil imbalances. FieldSaver™ amends your current infield mix to condition, add clay content and bind the existing infield soil. The cornerstone of this revolutionary Engineered Soil Technology program, FieldSaver™ , saves customers thousands of dollars that would have been spent to remove and replace their underperforming infield soils. What is the Recommended Mix for Sand, Silt and Clay?Calcined Clay vs Expanded Shale: What's the Difference?Brick vs. Bagged Clay - Which is Right for Me?